When running a business, many issues can become complex. Some of the most common are collection and contract disputes, which can occur between owners of a business, business owners and vendors, and even between business owners and their employees or customers. Whatever the case may be, when these situations arise, it’s vital you retain the services of a skilled Philadelphia business lawyer who has the knowledge and experience to deal with these cases. What is a Collection and Contract Dispute? As stated earlier, these disputes can occur between various parties. For example, a contract dispute may arise between yourself and a vendor, who signed a contract to provide certain services to your business, but is now refusing to do so and wants the contract renegotiated. As for a collection dispute, this too may occur between you and a vendor or customer, both of whom may be refusing to pay for goods they received or services you provided through your business. In either case, it’s important to have a PA business attorney on your side who has a track record of success in these cases. Why is a Business Attorney Important? Along with having knowledge and experience in business law, a Philadelphia business lawyer can help in other ways. By letting them draft a contract covering all essential areas of your business operations, it lessens the chances of a dispute occurring. But in addition to this, they can also make sure if litigation does occur, your business assets will be protected, allowing your business to continue functioning rather than be at the mercy of financial hardship. And if you have a partner, a PA business attorney can make sure the contract you’ve signed contains a plan of action should you or your partner become unable to continue in the business due to health concerns or other reasons. 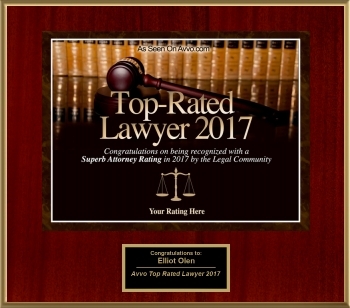 If you find yourself facing a collection or contract dispute, schedule a consultation with a Bucks County business attorney as soon as possible. By doing so, you’ll gain peace of mind, knowing your legal rights will be protected every step of the way.